Wear Something WARM While Listening to This! Others have described the plot quite well, so I won't waste one's time and don't want to relay any spoilers. Okay. Just one. John Muir is mentioned -- before he founded the Sierra Club. Yes, the book is long and is somewhat tedious at times. For the most part, it holds one's interest. After all, the story takes place over a period of about three years, most of it in the Arctic. The beginning is a bit muddled, as it seems the story is mainly about the publisher of the New York Herald newspaper. It isn't. The author is very descriptive. 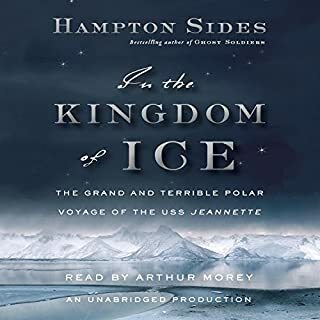 One will get COLD reading about the Arctic in the late 19th century -- before anyone had reached the North Pole. Useless maps and a lot of crackpot theories that the warm gulf stream water flows into the Arctic, making the Northern Sea easily navigable in the Summer when the weather is balmy! So the experts of the day said, until . . . If you like adventure tales, listen to this one. You won't be disappointed. Great performances, good production, good script and story. Billy Crystal said it started out as a movie script. It would need a lot more substance to be a movie. This is the perfect format for this story. I won't give any details as it would spoil the story. Just that it is amusing and highly recommended. Audible would be wise to produce more of the same, with the "hook" of at least one well-known celebrity attached. There must be hundreds of scripts out there which will never be movies but which will be good audio titles. This title reminded me of listening to radio broadcasts of old radio programs like The Shadow and Inner Sanctom. Also, it is every bit as good, if not better, as Stan Freberg's album, Pay Radio. That album was a variety format and excellent. This is an actual complete story. Once a new audio listener hears a short title like this, that person will likely want more. So this is a good title to recommend to newbies. 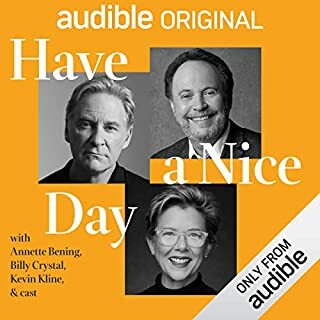 From Audible's standpoint, this type of audio title will bring in an entirely new demographic of listeners. Narrators both good but unintentionally funny. Good Book. 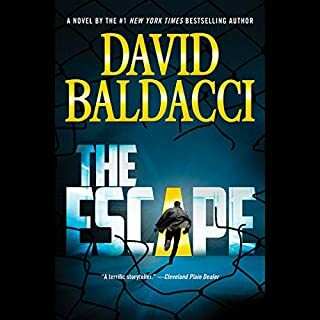 One of the reasons I like David Baldacci's books is because he makes the improbable sound possib!e. This is another mystery/thriller which moves along just fine. I'm not sure I like the sound effects, but it shows Hachette is trying new things. The author leaves some mysteries unsolved and unexplained. Fortunately, nothing that pertains to the main plot. One thing made me laugh and at the same time was somewhat distracting. The plot makes reference to a particularly valuable painting several times. Both narrators pronounced the first name of the artist as JO-ANN. Mr. Joan Miro is quite famous. I wonder how many people see his paintings and think he is a woman! This review only speaks to the narration. Others have thoroughly covered the content. 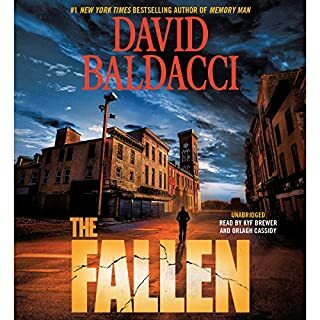 Generally, I think David Baldacci's writing is very good and we'll worth the time, to read or to listen. Maybe it's just me, but the stilted narration grabbed my attention away from the story, ruining any posdible enjoyment. Also, the male "voices" we're very flat -- almost monotone. The female voices were a little better, but not enough to overcome the overall impression of an amateur recording. If one wants smooth narration, this isn't it. One is better off reading this particular book. I think I know why this narration is so choppy. Most modern multi-voice recordings are done by recording each narrator separately, then merging it all together -- the way voice recording is done in animated films. If this isn't the reason it's so bad, then however this audio was produced, it is the wrong way -- I hope this technique doesn't continue. "This product currently has limitations on submitting reviews. There can be a number of reasons for this, including unusual reviewing activity." I don't know exactly what they mean by "unusual reviewing activity" except perhaps the volume of reviews being submitted. 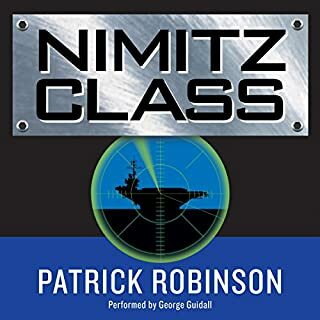 The only thing I would add here about the audio edition is that the narration by Robert Petkoff is excellent. I only give five stars to all-time outstanding books such as Gone with the Wind. Excellent books get four stars. This book earns five stars -- no question. I have the hardcover -- purchased from a local bookstore -- and the Audible edition. I won't spend time outlining the content. Others here have done a great job doing so. 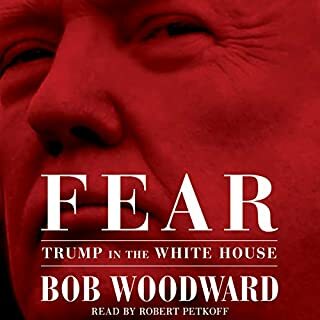 I do want to comment on reviews which question how Mr. Woodward was able to use exact quotations, since certainly most of what is quoted was not "recorded." Of course, journalists do not often have recordings of what people say. They rely on recollections, notations, and writings of witnesses and participants to make a "record" of what was said. Good journalists and good writers follow these rules assiduously. Mr. Woodward is a Pulitzer Prize winner and one of the best biographers of our time. He has written 18 other books, many about American presidents. All of his books have received the highest acclaim. 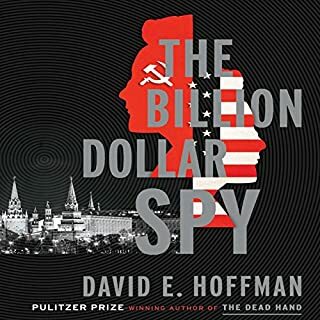 I hope reviewers won't trash this book because of their political views. It does everyone a disservice to do so. If this book does one thing it exposes the behavior of this president -- which is even more egregious than the way he behaves and the things he says in public. Nixon thought he was above the law. This book makes it clear that this president thinks he IS the law. 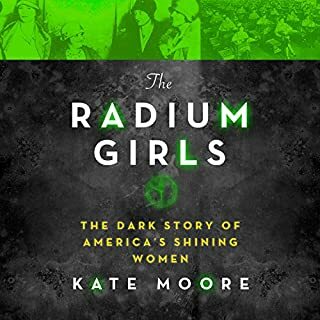 This book focuses on a particular set of Americans who were exposed to radium at the beginning of the 20th century. They were young women who used luminous radium-infused paint to paint watch faces. Their stories would still be tragic -- but at least their suffering and deaths would have been caused by ignorance -- rather than the evil men who put profit above humanity. What strikes me most, as I write this in the middle of 2018, is that America is going backwards – not to where America was "great," but rather, to a time when workers had practically no rights to decent working conditions, decent wages, commonsense laws and regulations to protect them from greedy business owners. America continues now to roll back many of the gains it made in the past century to protect its citizens from a poisoned environment, a hostile workplace, a fair financial system, and a host of other reasonable rules adopted by America to protect its citizenry. The parallel between then and now is frightening. It is the main reason I finished this book. Unfortunately this particular book is too long, as it tends to expand and repeat some of the same themes throughout. I also found it hard to follow the stories of the individual women, because their stories are told more or less in chronological order, rather than the author focusing on a particular woman, telling her story and then moving to another. I have had to go back and relisten to many chapters of the book. If I have been reading this book I am sure I would have had to flip the pages back and forth quite a lot. After the discovery of radium by Marie Curie it was thought that radium was a miracle substance, and it was used to treat and cure a myriad of diseases and conditions. At first, this was done from ignorance. It seems that no one knew how dangerous a substance radium was and is. The women chronicled here were continuously exposed to dangerous radium, told it was perfectly safe, and lied to not just by the businessmen who employed them, but by one of their own doctors. All the while, the male employees of the same companies had protection afforded to them while working with radium. Another prescient example of women treated as second-class citizens. The lesson gained from this book is that everyone must be constantly vigilant so that the same types of evil-doers cannot oppress and subjugate ordinary people in their daily lives. Most people are inherently good. Unfortunately, there are those – with money and power at their disposal – who care not for anyone but themselves. This is why laws, regulations, and rules are so necessary. Despite that this book is not the best written narrative on this subject, it is still recommended for its content. I wanted to like this book. The word that comes to mind about the story is "silly." No spoilers -- I'll keep it general. 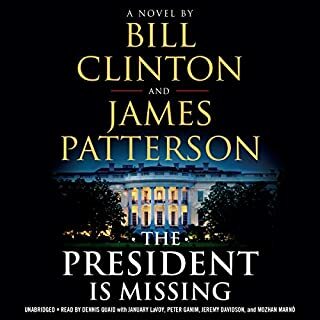 Probably not a surprise the protagonist of this book is the president. I fully expected the president to jump into a phone booth and come out wearing a superhero cape. Maybe he is President 45s good twin -- just like him but trying to be good instead of evil? Egomaniac, knows all, does all, smartest, best words -- sound familiar? Unlike good suspense/mystery stories which give clues along the way as to Who Done It, the ending here comes out of nowhere. Mostly, I was disappointed that there was no insight into what it's like to be president on a day-to-day basis, with one short exception. There was some general information about what it's like to ride in the Marine One helicopter. Otherwise, I wonder if Bill Clinton had anything to do with this book at all. As for Dennis Quaid's narration, he should keep his day job. Very annoying voices. Elizabeth Peters (Barbara Mertz) was an excellent writer who brought her love of ancient Egypt to life in her books. Barbara Rosenblat's narration is one of the best I've ever heard. All of the characters in the book have very distinct voices which are easily discernible. 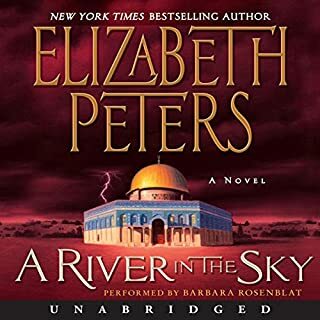 Ms. Peters (one of the pen names she used -- this one derived from the names of her daughter and son) was able to immerse the reader in not only the lives of her characters but in ancient Egypt. salon or have it brought up here to our room? Emerson: I don't want any tea. Amelia said, We had tea on the terrace of our room. Listening to these books is like being on an archaeological dig. I listen to a lot of audio books. I listen every day. The books in this series are so good I am listening to them again in order. It brings joy to listen to this series of books. Getting a free lesson in archaeology is a definite bonus. Silly story. Book editor needed. Good, but some dialogue and story elements are either unintentionally humorous, improbable , or nonsensical. A good editor would have worked with the author to provide better structure, point out inconsistencies and suggested a tighter and more credible storyline. Otherwise, it's an okay listen for driving time or doing chores. **Example of improbable scenario: President's address to nation contains him outlining his personal loss and praises individual military officers. Speech also makes reference to service members knowing they might die while serving -- not in those words, but . . . really? Speech ends with President taking no questions and the nation "in awe" -- should be more like shock and outrage. **Nonsensical story element: After contact is lost with ship, other ships in fleet don't even look for debris (from aircraft carrier the length of height of Empire State Building!) Nuclear weapons and nuclear power plants on ships don't just explode for no reason. Yes, large destruction, creation of rogue waves, and radiation spread, but while ground zero -- or water zero -- would be vaporized, there would be shock waves and other damaged areas with debris. USA announces an "accident" within a couple hours of the event, before any investigation. No way that is reasonable. **Humorous element: The dialogue is stilted. "The table went completely silent," for 20 seconds. Highly regarded officer having an affair with wife of US senator at the Watergate and no one notices. Flowery description: "He looked like a younger, thinner Robert Mitchum, with the kind of piercing blue eyes you often find in deep water yachtsmen or plainsmen." ". . . to punch a high weight far beyond his rank." Dialogue is just too overdone, which is what makes it funny. Piercing blue eyes is enough. The rest of the comparison to boaters and farmers distracts the reader -- or listener -- and diminishes the character.